Welcome to the West Lafayette Tree Friends website. In West Lafayette, Indiana we are a group of volunteers who are expanding and maintaining our city’s street trees, i.e., trees planted in the public right-of-way along city streets. Our purpose is to create and sustain economic, environmental, health, and aesthetic benefits in our West Lafayette community through planting and nurturing street trees (in a 2016 inventory, the city had over 9000!). We work with the city government and typically complete one or two large planting projects each year and schedule fall and spring pruning programs. We also work with individual property owners to address any concerns they have with their street trees such as planting new ones, pruning, or tree removal when necessary. 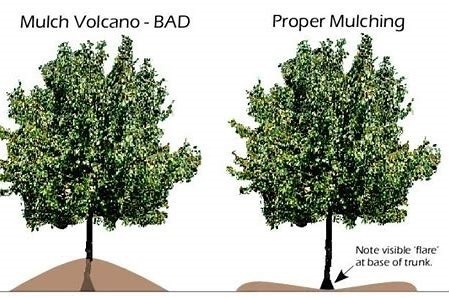 If you would like to have a street tree planted, or you see a street tree that needs pruning, seems sick, or appears to be dying (or dead), please contact the West Lafayette Tree Friends at city@wltreefriends.org. All Tree Friends initiatives are financed by private donations which may be augmented by funds from the city government and/or matching grants when available. If you see us working about West Lafayette (look for our day-glow yellow vests), stop and chat. We work hard, but we have fun. We are always glad to talk trees. Click here to see the latest issue of the WLTF newsletter, Urban Leaves! Sadof noted that the beetle can be reported by calling 1-866-NO-EXOTIC. 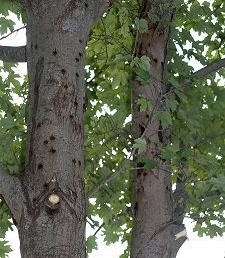 Alternatively, reports could be made through smartphone apps or websites listed on the Indiana Invasive Species Council website http://www.entm.purdue.edu/IISC/. From there, reports go to the state and then to Purdue for confirmation. 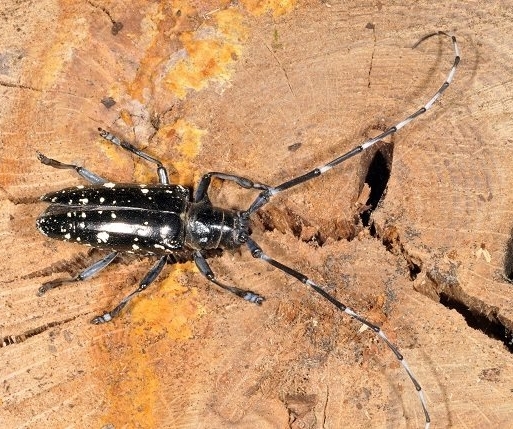 Sadof says in addition to trees, the beetle also often lands in swimming pools so Hoosiers should check their water skimmers as well. See more Tree Tidbits. . . Remember “Don’t Mound, Make a Moat,” is the proper method. Community members also support us by making donations (click the button above for info) and 100% of every gift we receive goes directly into planting, pruning, and protecting trees in West Lafayette’s urban forest.